If you know me, you will know that I am a sucker for any scented products. Perfumes, body lotion, scented candle, even skin care or makeup product, I like everything with "good" scents on it. Do you realize that when you choose a perfume, body mist, body lotion, or any scented product it is usually based on your mood on that moment. Or sometimes, we choose fragrance based on the event that we are going to attend. But basically there are study about how people tend choose their favorite fragrance based on their personality. 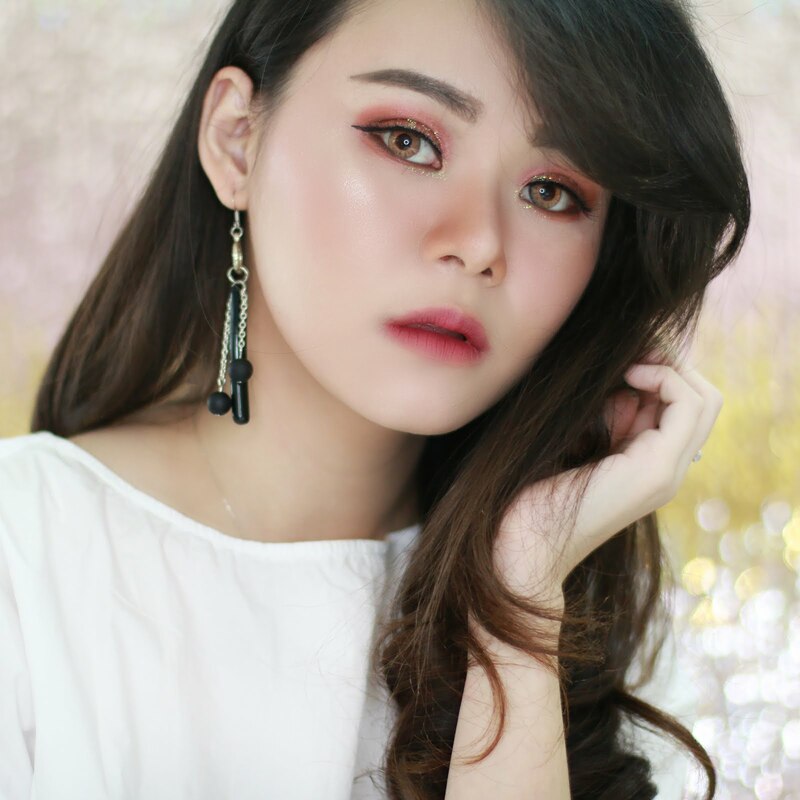 Let say if you are a teenager you tend to like light fruity or floral scents, if you are going to date you prefer floral or sweet feminine scents, if you are an adult women you might prefer a deeper and heavier scents. There are thousands of different perfumes and fragrances on the market today and the list is growing rapidly. A perfume obtained from a combination of several scents. But actually there is only some basic scents like floral, wood, citrus (fruity), and oriental (spicy). Once you've figured out your favorited scents between those basic scents, you can start exploring fragrance in your category. I am not really good in describing fragrance. But I notice that I prefer floral mixed with wood scents that is not too sweet and also not too feminine. Also most of the times, I fall for something that is between woman or man fragrances. This is describing myself so well. At first glance, most people might mistake me as the overly feminine type. In truth, I'm more of a tomboy myself. 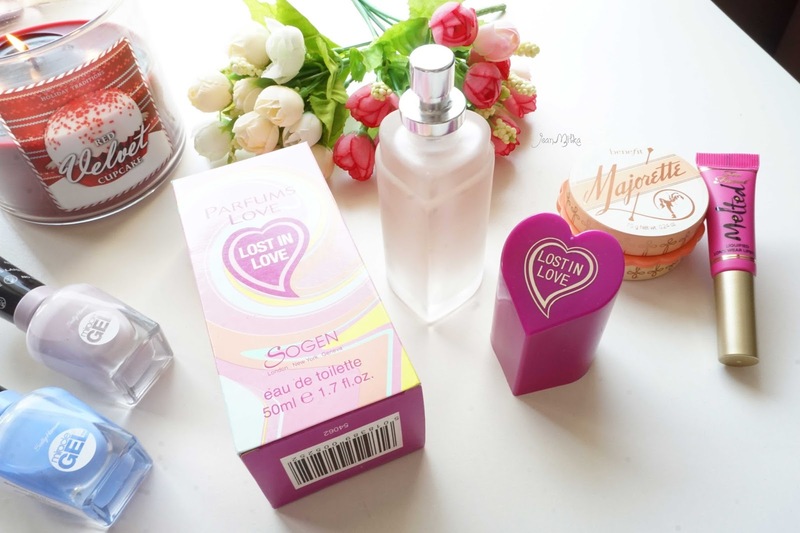 I recently try two new fragrances from Sogen. 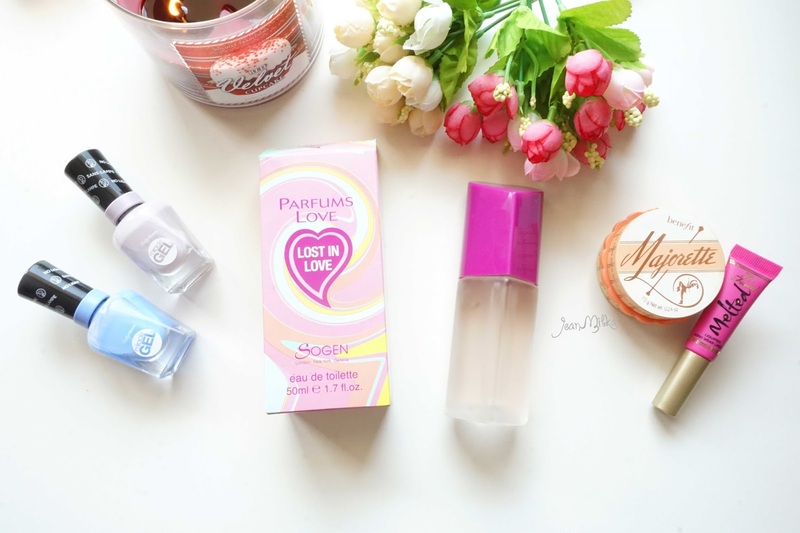 The first one is Parfums Love Lost in Love. The first time I got this perfume, the packaging caught my attention. It comes in frosted, heart shapes packaging. The only complain about the packaging is the fact that the design is too plain. I really hope that they apply the same box design somewhere on the real bottle. The scents is mixed of floral and citrus scents that is fresh but not too strong. 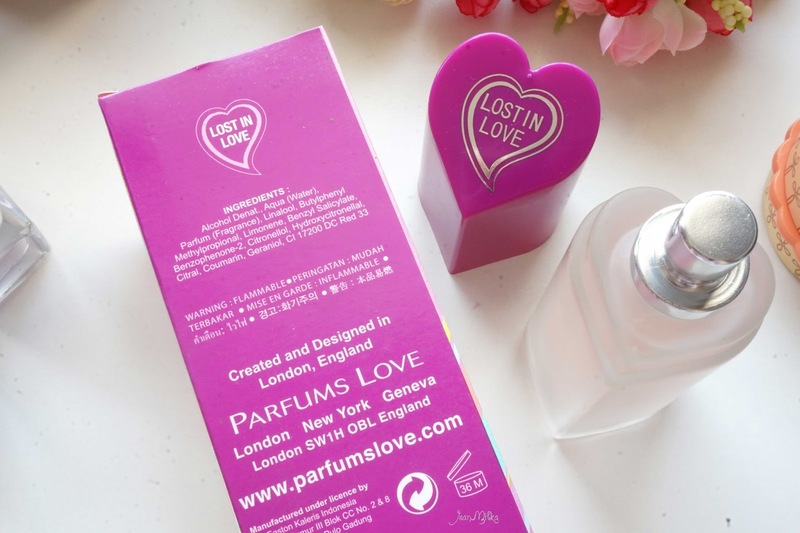 This perfume is a perfect companion for young, cheerful girl who is going to have a date. It's last for about 4 - 5 hours on me if I stay in air conditioner room. The lasting power is quite good consider that the price is really affordable. So...? Sensual Body Mist last for about 2 - 3 hours on me and gradually fade after 1 hours and leave vanilla powder scents. If you like vanilla or sweet fragrances, you will love this body mist. Talking about fragrances, people favorites scents is changes by the time. I used to prefer fresh or fruity scents when I was on high school. But when my age turn 20, I prefer a more elegant and feminine scents. Everyone prefer different fragrances, but if you understand your basic scents it will be easier for you to choose your fragrances and you won't be distracted by other fragrances that you might get bored after only a couple of uses. Readers : So, what is your favorites scents ? is it floral, wood, citrus (fruity), or oriental (spicy)? If you are a blogger who live in Jakarta, come and experience so Perfume and find your signature scents. Note : Registration is close on Friday, 16 April 2015. Selected blogger will get the invitation, send to your personal email. 2 komentar on "Basic Knowledge about Fragrances and Newcomer among My Perfumes Collection"